Béirín Beag Buí is a lullaby film for children of 3-6 years. 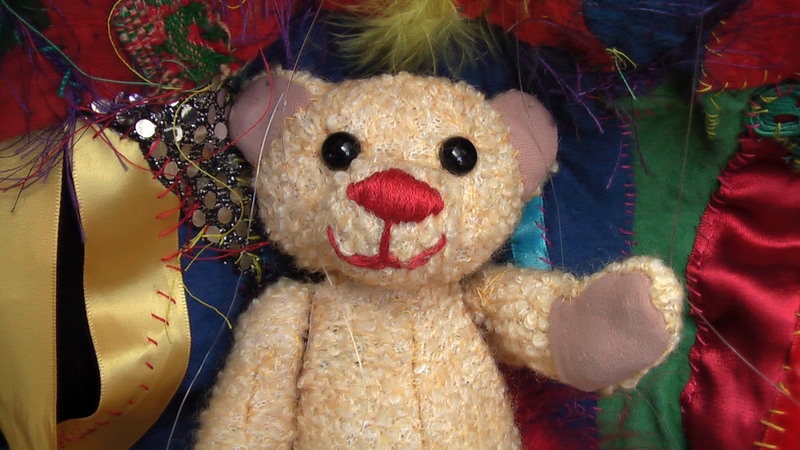 It is made with rod, string and shadow puppets as well as live action, and is produced by Púca Puppets. The film is about difficulties sleeping and about the magical world of dreams between sleep and waking. The story invites children to relax and embark on a journey of imagination and stories which will bring them safely tomorning. Winner of Dingle International Film Festival’s Fisín Award, it was also supported by Vast Valley Ltd and Dublin City Council Arts Office, a bursary from The Arts Council assisted its conception. In addition to seeing the film children have a chance to meet the Little Yellow Bear and to respond creatively to the film in a simple workshop activity with their accompanying adults. They are welcome to bring their own teddies or other special “friends” with them, and to wear their night clothes if they wish. The film is available in Irish, but can be presented in English or bi-lingually. Film Duration 7 minutes, total experience duration: 40minutes. Suitable for 3-7 year olds and their families. Capacity 25 children + their accompanying adults. Is scannán suantraithe do pháistí óga é Béirín Beag Buí. Déanta le puipéadóireacht, scáthanna agus scannáníocht coitianta tá an scéal simplí seo curtha i láthair ag Púca Puppets le cúnamh ó DIFF/ Fisín, Vast Valley agus Comhairle Chontae Bhaile Átha Cliath. Baineann sé le deacrachtaí codalta, ach freisin leis an idir eatarthu, an ré taibhsiúil atá ann idir dhuiseacht agus chodladh. Téann an Béirín Beag Buí chuig ríocht na mbrionglóid. Cuireann an scéal an leanbh ar a shuaimhneas, téann sé nó sí ar aistear scéalaíochta, samhlaíochta, agus tagann sé nó sí slán ar maidin. Chomh maith leis an scannán a fheicéail beidh seans ag na páistí bualadh leis an mbéirín beag buí é fhéin agus a bheith rannpháirteach i gceardlann simplí mar fhreagairt air. Tá fáilte rompu a mbéiríní nó cairde speisialta eile a thabhairt leo agus a gcuid éadaí codlata a chaitheamh más mian leo. A white wall or screen, cosy ambient lighting, a projector, dvd player and some additional seating for adults. Púca will provide an over head projector, and rugs and cushions for seating children and able adults. I can also provide a projector and Dvd player if necessary. Please note: Capacity for response workshop is 25 children of 3+ years with their accompanying adults.